Learn to fully utilise the TOP-SET system to guide your team to investigate methodically with confidence and unearth the real root causes of an incident. Course objectives. The Kelvin TOP-SET 3-Day Senior Investigator course is designed for professionals and managers who may be required to lead an incident investigation team. This is an intensive course that teaches attendees the ideas underpinning the TOP-SET methodology, and the specific steps of the process of investigating an incident using TOP-SET. The course covers every aspect of investigating an incident including creation of the investigation team, formulation of the incident statement, planning of the investigation, gathering and storage of data, interviewing techniques, Storyboarding, Root Cause Analysis and creation of standardised reports and SMART actions. In addition much time is spent uniquely, in demonstrating and discussing human behaviour in terms of both the investigators and those involved in the incident itself. During the course, the behavioural bias of investigators is demonstrated, along with the consequential pitfalls. Throughout, the ultimate responsibilities of humans in all incidents is discussed and debated. 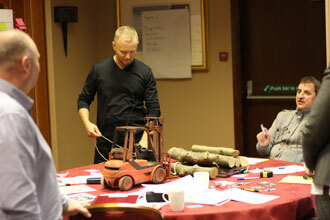 Delegates undertake a range of practical exercises and interactive case studies to reinforce the learning points. Active participation is encouraged throughout the course to give attendees the chance to share experiences and interact with each other and the Kelvin TOP-SET tutors. Our tutors are all experienced investigators with senior expertise in diverse fields. Continuous assessment with feedback is included in the course, along with homework exercises to maximise the learning experience and to ensure mastery of the process. Participants are also given free 30-day access to the e-RCA online Root Cause Analysis course and the option to purchase a full life-time e-RCA licence at a preferential rate. This course is run on an open basis in the UK and internationally, and can also be run as an in-house course on request. Sheraton Dubai Creek Hotel & Towers, Dubai, U.A.E. 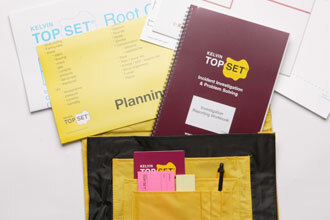 Participants will receive a Kelvin TOP-SET ‘Senior Investigator’ certificate on successful completion of the course. If you are considering using an external venue to run an in-house course, we may well be able to help. We have an excellent relationship with a local hotel which offers very reasonable preferential rates to all of our clients for conference rooms and accommodation. The hotel is close to our global headquarters so booking a course here will also give you the chance to meet some of our core team to discuss any issues or address any questions that you may have. The venue is easily reached via Prestwick or Glasgow International airports in under an hour, so is ideal if you need to fly delegates in to the course from multiple locations. Please contact us for further information and rates.